We are committed to making sure your visit is as convenient and enjoyable as possible. Many of our services and programs focus on saving our patients time and effort. It is also important that at the same time, you receive personalized attention, which allows us to offer you faster and more comfortable dental care. 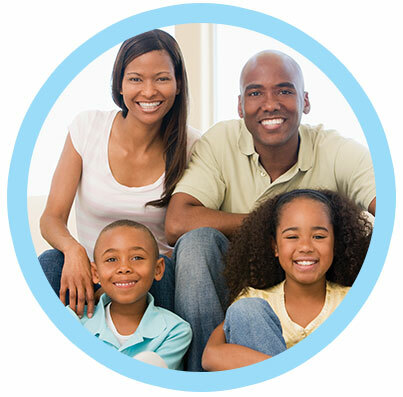 Here are ways we make it easy and more affordable for your family to get the quality dental care they need. Reducing anxiety can make all the difference between an enjoyable visit to the dentist and a bad one. Our team works to ensure your full comfort before, during, and after your care. Children of all ages love us! Regardless of your age, we focus on the unique care you require. We are also sensitive to the needs of our oldest patients. No one wants to deal with a dental emergency. But if you do experience one, we’re able to see you the same day to ease your discomfort. Our office is located right next to 18th Avenue Station and is central to several local schools and businesses. We are pleased to offer evening and Saturday appointments to accommodate your busy schedule. Complete these at your own pace at home, saving time and ensuring you didn’t forget anything important. We offer several ways to pay for your care. For those with dental insurance, we’ll help you file for maximum benefits. For your portion of the payment, we accept MasterCard and Visa and offer an interest-deferred payment plan through CareCredit. We work to provide you with efficient, convenient dental visits. Call us today at (718) 232-4044 to see what we mean. Monday 10 a.m. – 5 p.m.
Tuesday 10 a.m. – 7 p.m.
Thursday 10 a.m. – 7 p.m.
Saturday 9 a.m. – 5 p.m. Copyright © New Patients, Inc. All Rights Reserved.